New Ballet emphasizes classical ballet with multicultural dance and impeccable technique in every form, all in our 14,500 square foot studio facility in the heart of Cooper Young in Midtown Memphis. Students audition to assure the best class placement for development and artistic growth, and class sizes are limited (average 17 students). We encourage NBE students to become creative citizens of the world. The classical ballet curriculum is enhanced with lessons in African drumming and dance, Hip Hop and Jookin', Flamenco and Chinese dance. New Ballet's artistic approach is a synthesis of many cultures coming together in the heart of a great, diverse city. Our advanced track students are required to study ballet, but there are also open classes for young people who wish to create their own schedule, without ballet if that is their choice. Many discover that ballet training greatly improves their dancing in other forms. Our priorities in every class are quality training in a supportive environment with a focus on the individual. New Ballet Ensemble by Morgan Fox from New Ballet Ensemble on Vimeo. Classes begin for children ages 3-6 in Creative Movement, progressing to Pre-Ballet and continuing through pre-professional classes for the serious student. We also offer adult ballet, Hip Hop, Pilates and African Classes! Performance is an essential part of training dancers to a professional standard. Creative Movement classes through Ballet VI perform for parents, family and friends during class observation week each semester. 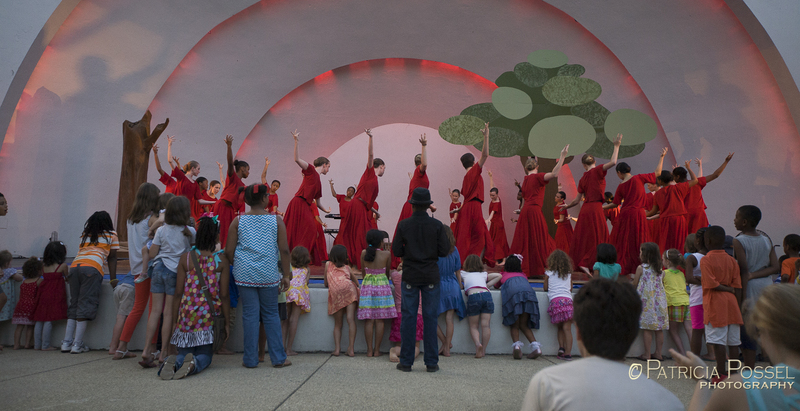 Every Spring, our Family Night production showcases all of NBE’s classes at Overton Park’s Levitt Shell. Beginning in Ballet 1, New Ballet students have the opportunity to dance in our annual Nut ReMix main stage production with the Memphis Symphony at the Cannon Center. Some students alsPlayhouse on the Squareo may perform in New Ballet's annual FreeFall and SpringLoaded productions alongside our professional Teaching Artists. Students have also performed in Opera Memphis productions at the Orpheum Theater, special performances at GPAC, and community venues such as the Brooks Museum, Bridges, ArtSpace downtown and more. "I wanted to thank you for the mission and leadership of New Ballet. We are honored to have been a part of this unique and top-notch organization. It's been rewarding to hear Ann Bennett say how much she misses NBE. It's not just ballet, but the people, the atmosphere and the community she misses. She sees in her ballet class at Birmingham Southern how the professional training you gave her puts her as the role model in class." "Katie, I can't express how much it means to me that you give our dancers so much caring support and loving attention. Allison is so excited about learning to dance on pointe. Please know that today will be a memory I will treasure for years to come! The lady at Cordova Dancewear and Ally's teacher made the fitting so fun! I learned a lot about feet in the process too. Watching you with her made my day and hers too! Thank you for all you do for these young people. "So grateful to be part of the NBE family!"